Kinguin is a decentralized marketplace for digital games, items, and services, enabling global player-to-player trade empowered by blockchain and smart contracts. Kinguin users can trade and bid in real time straight from Discord, Messenger, and other social platforms. All purchased or won digital assets belong to the Gamer who purchased or won them. Kinguin.io will introduce the Krown as an emblem for skilled Gamers to exchange value anywhere in the marketplace. 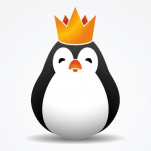 Kinguin.io enables the buying and selling of in-game assets through three main outlets: chat interface, wallet, and the Kinguin.net website. Any Kinguin.io user can view past transaction history on the immutable ledger that is the blockchain. Kinguin.io provides both community reviews and player matching capability for the purposes of distributing services across the global network of Gamers. As part of the Kinguin.io publishing platform, developers get access to a flexible payment gateway cryptographically secured on the Ethereum blockchain. Kinguin.io uses the Ethereum blockchain network as a ledger.